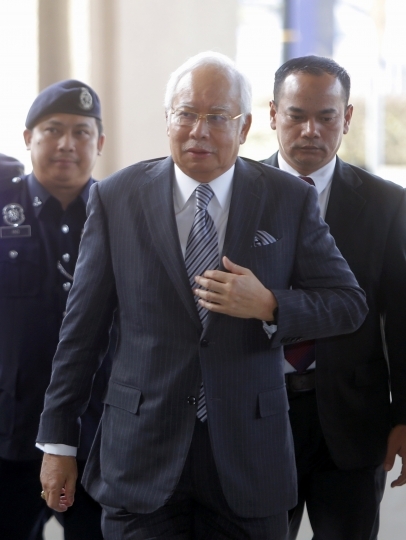 KUALA LUMPUR, Malaysia — Former Malaysian Prime Minister Najib Razak failed Friday to win a court order barring the media from discussing the merits of corruption charges against him ahead of the start of his trial on Feb. 12. After hearing lengthy arguments from both prosecutors and defense lawyers, High Court Judge Mohamad Nazlan Mohamad Ghazali ruled that a gag on the media would be a "major incursion" on freedom of speech and expression. He said there are existing laws on contempt and defamation, and the risk of prejudice is "quite remote" since Malaysia doesn't have a jury system. "A gag order does not promote the law as an instrument of justice," the judge said, and set trial dates spanning two months from Feb. 12. 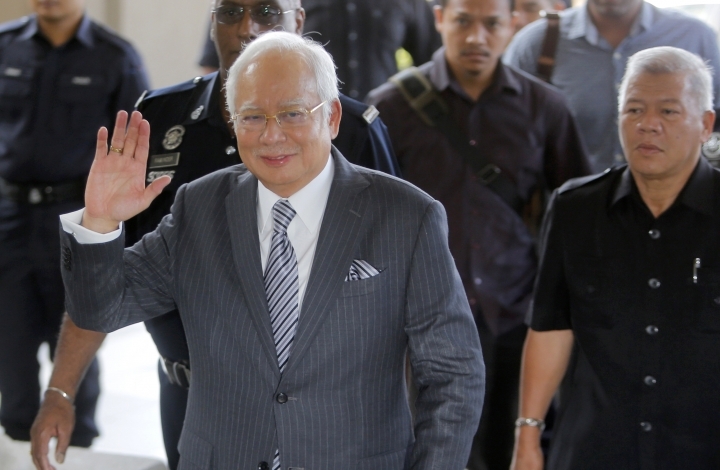 Najib's lawyers said they will appeal the judge's decision because public sentiment wanting Najib to be convicted had led to many articles inferring his guilt, which could deny him a fair trial. 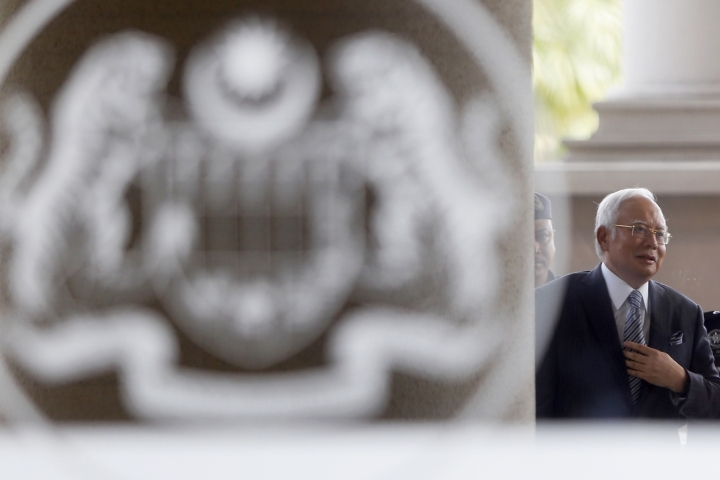 Najib, 65, has accused Malaysia's new government of seeking political vengeance and vowed to clear his name in his trial. He didn't speak to the media Friday but wrote on Facebook a day earlier that he was confident of winning the trial. "Through a fair trial, I am confident I can defend myself. I am confident I will be found not guilty of all the charges," he said. Public anger led to the defeat of Najib's long-ruling coalition in May 9 elections and ushered in the first change of power since Malaysia gained independence from Britain in 1957. 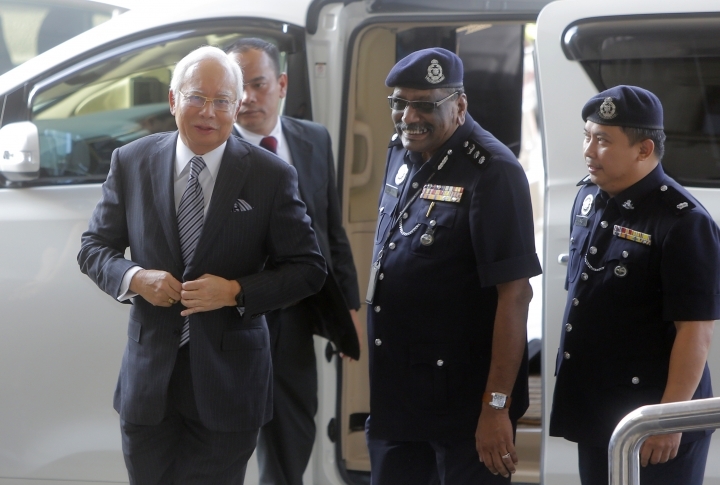 The new government reopened investigations stifled under Najib's rule and barred him and his wife from leaving the country. Police also seized jewelry and valuables valued at more than 1.1 billion ringgit ($270.2 million) from properties linked to Najib.